What would you do if you found out that you were the father of 533 children. David Wozniak made anonymous donations to a fertility clinic over 20 years ago and now that is coming back to throw a major curve ball into his game plan. He finds out that his girlfriend is pregnant and that throws him for a loop, then he finds out that he has fathered all of these children and he can’t believe it. He needs to make some changes to his life so that he can be responsible and reliable for Emma (played by Cobie Smulders). This is harder that he thought. In the mean time 142 of his 533 kids want to know who he really is and file a lawsuit demanding he reveal his identity. He goes to best friend and lawyer Brett (played by Chris Pratt) for advice and help. 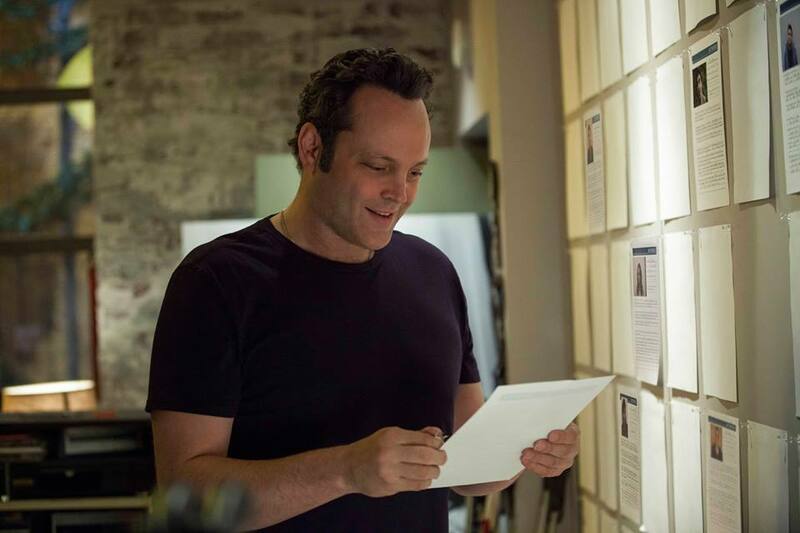 Through the course of the movie David (played by Vince Vaughn) gets to know his kids, learn about them and finds out what it means to not only be a father but a friend. 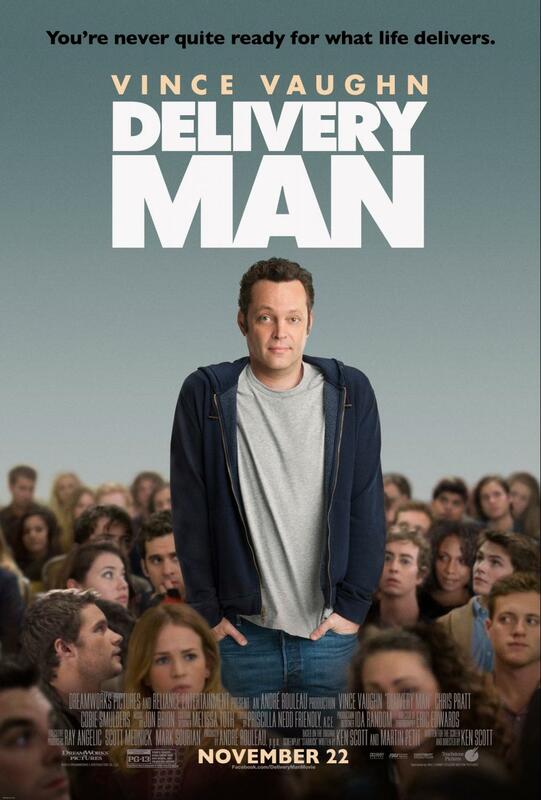 This movie is heart warming and gives you a great feeling of the importance of family, compassion, and priorities. It is great for families with older children (around 12 and up). There is just too much in it that a younger child would not understand. There are a lot of emotions in this movie from funny to sad and back and forth The talent was amazing – I love the cast they chose, and the script was good. I felt the like the movie really flowed and was not “slow” at any point. 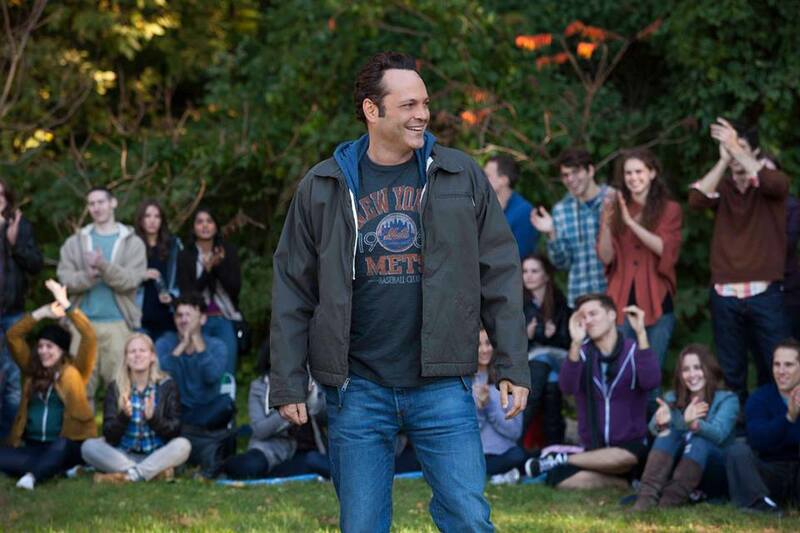 Delivery Man came out in theaters today 11/29 so go see it over the weekend! It really is a great movie and you will love the feel good feeling you will have at the end. I was able to be at the Red Carpet event for this movie. It was so much fun and you can read all about my Red Carpet experience in LA at the El Capitan Theater and then the after party at the Hard Rock Cafe. I also got to interview Chris Pratt, Cobie Smulders, and Vince Vaughn!